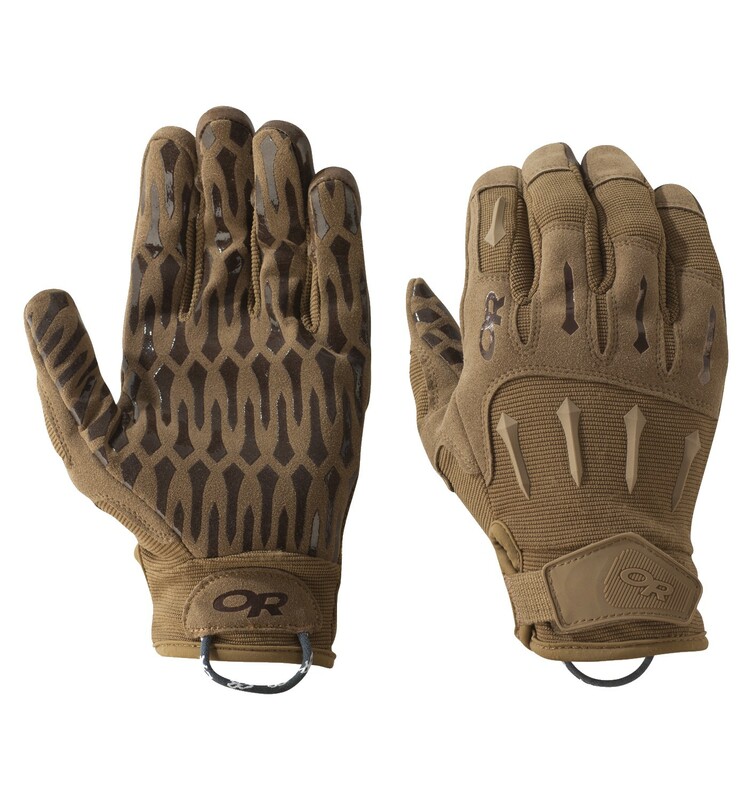 The IronSight Gloves are a quick drying, highly breathable combat glove designed for solid and secure grip on weapons and tools. The glove is made of a combination of synthetic leather and stretch nylon. Silicone pads, designed for better grip on surfaces, cover the palms and the fingers and allow a very accurate and secure weapon/tool manipulation. On the inside of the wrist is a loop designed for both quick access and for hanging the glove on a backpack or a vest. The back of the hand is also a combination of stretch fabric and synthetic leather. The joints are made of synthetic leather for higher protection of knuckles and fingertips, while most of the back of the hand is made of highly breathable stretch nylon. Outdoor Research also applied injection molded rubber protection (with the same shape of the silicone pads) to the back of the hand and on the index finger for light impact protection. On the outside of the wrist is a Velcro closure for easy access and for a more comfortable fit. The glove has a short cuff design that allows hand protection without compromising mobility and comfort. This design works fine in conjunction with a watch or wrist GPS system. The sides of the fingers are hybrid of stretch nylon and synthetic leather for protection with comfort and agility. The fingertips feature a very fine finish that provides accurate and precised movements. Urban Survivor had the chance to test the IronSight gloves at the range, shooting with a Beretta 9mm. Since there were more than 35°C (95°F) the breathability feature was very interesting. Recoil management and general weapon manipulation was very pleasant due to the silicone pads on the palm. Also handling the single rounds was pretty easy with these gloves on, and even putting on SureFire Ear Pro was a simple task. While wearing the IronSight glove it was possible to write and even use knives with precision. The stretch fabric helps the movement of the hand, which results smooth. The IronSight is one of the most comfortable glove on the market, especially in hot weather environments. It worked perfectly for shooting. The fabric is soft and allows great feelings in all fingers and palm, but still protects the hand pretty well. 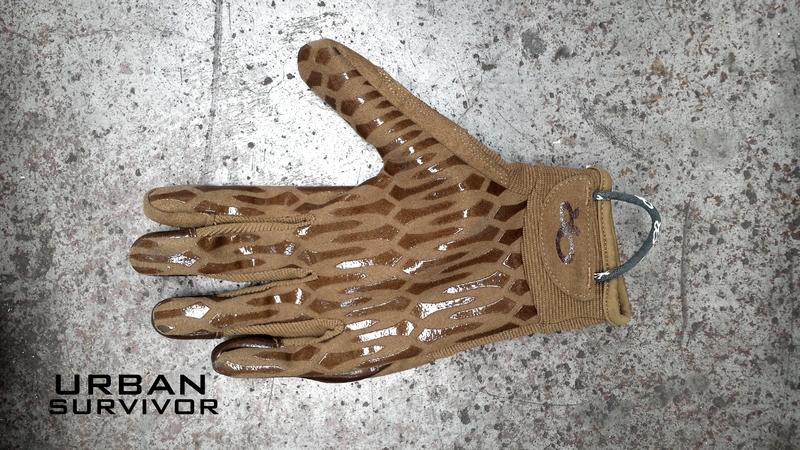 We would suggest this product for any operator overseas in warmer environment, and as a shooting glove (especially indoors). This is also a good product for airsoft or any outdoor activity in general, due to the quick drying feature. You can purchase it directly from Outdoor Research.